Get a unique look at the Philippines’ military history, indigenous culture and amazing wildlife on this day trip from Manila to Subic Bay. With your local guide, tour a former US naval facility, now a modern free port, and learn jungle survival skills from Aetas, the indigenous people. End your tour with an exciting tiger safari or marine animal show! 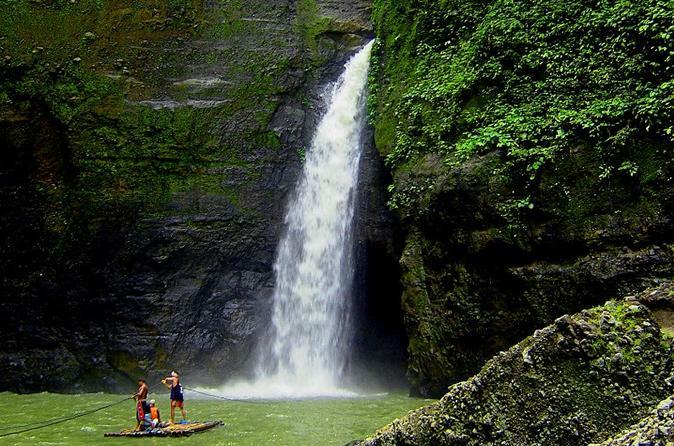 Discover majestic Pagsanjan Falls on this day trip away from the hustle and bustle of Manila! 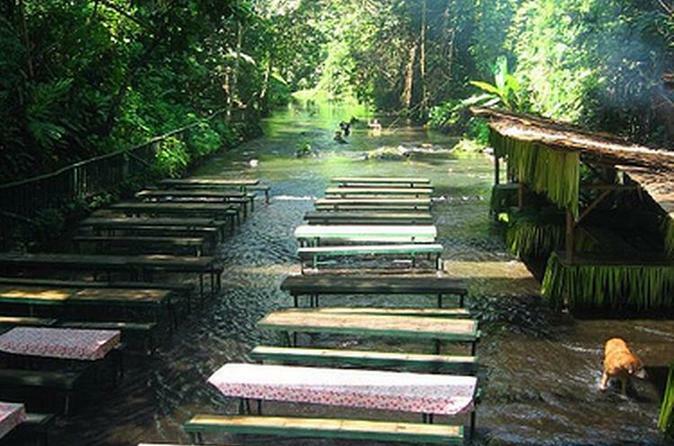 With your local guide, enjoy exciting boat rides along rapids surrounded by the lush landscape. Then, swim in a hidden cave and enjoy a scrumptious spread of traditional Filipino cuisine while listening to a live local band. 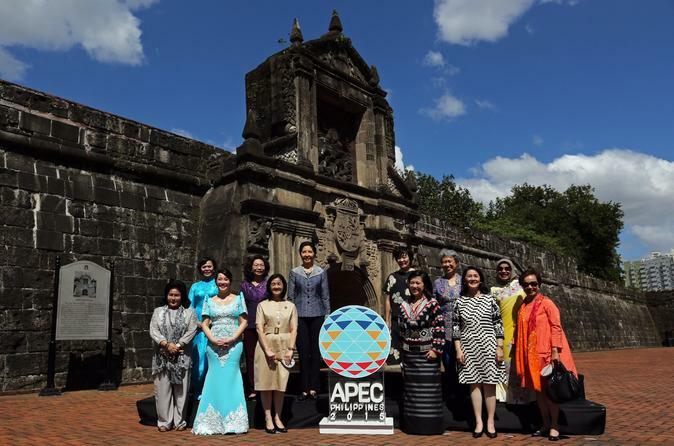 See the best of Manila and Makati, including the American Cemetery and Memorial and the walled city of Intramuros, on this historical sightseeing tour. 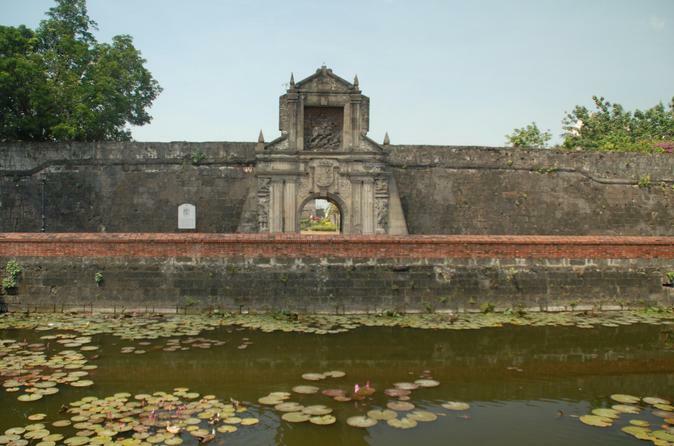 Walk along cobblestone streets to Fort Santiago and gain insight into the area's fascinating past, from the Spanish colonial period to World War II to the now bustling modern metropolises. 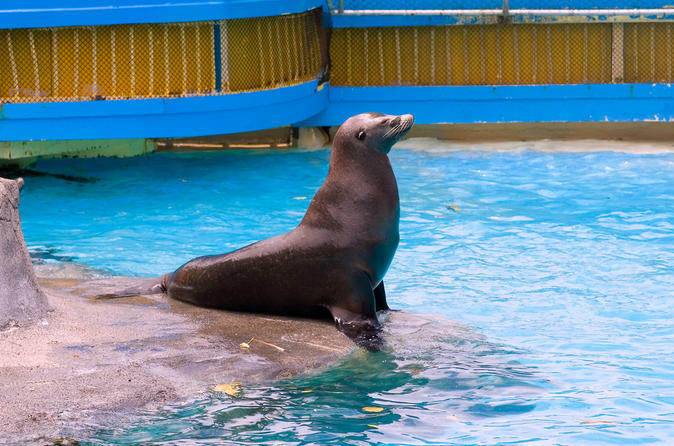 You'll also enjoy a traditional Filipino lunch and watch an exciting Sea Lion Show at Manila Ocean Park. Spend a relaxing day away from Manila on this tour of Villa Escudero Plantations, a coconut plantation located in the Philippines’ beautiful countryside. Experience Filipino culture and history as you ride a water buffalo-drawn cart through the plantation, listen to live local music, browse interesting artifacts at the museum, and enjoy a scenic lunch at the base of a calm spillway from Labasin Dam. Get a taste of Filipino culture and history on a tour of Makati, the Philippines' financial and commercial hub. With your expert local guide, explore interesting exhibits at the Museo ng Makati and tour notable Spanish churches like Saints Peter and Paul Parish and Our Lady of Guadalupe. 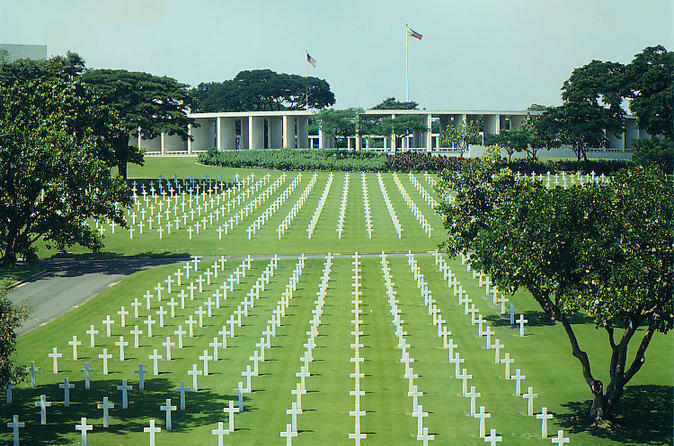 Visit the American Cemetery and Memorial and enjoy free time to explore Ayala Center’s shops at your leisure. 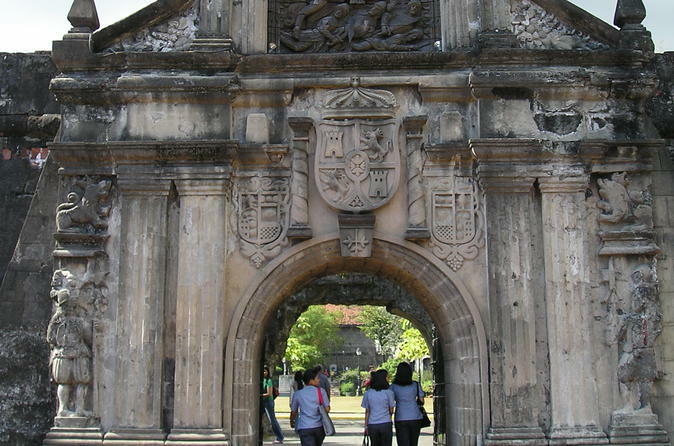 Explore Old Manila on this private half-day tour! 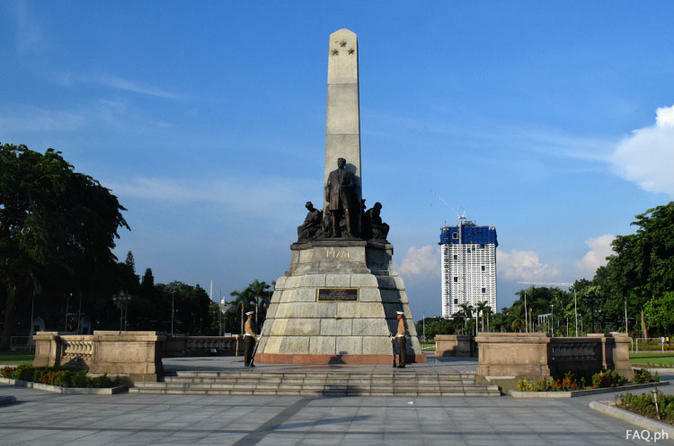 After pickup from your Metro Manila/Makati hotel, you and your party will visit famous highlights such as Rizal Park, St. Agustin Church, among others. This tour is perfect to see the old city's highlights while freeing up your afternoon for other activities. On this art and heritage tour from Manila, discover the Angono Caves, a UNESCO World Heritage Site home to the fascinating Angono Petroglyphs. Browse these ancient relics and get a glimpse into local culture as you tour two art galleries with your guide and enjoy a Filipino lunch. 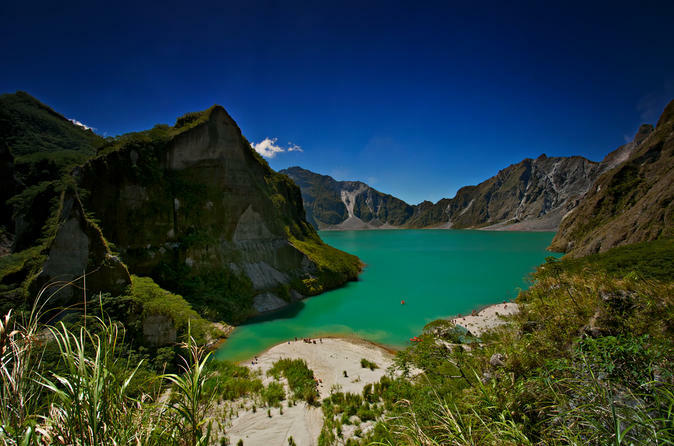 Leave the bustle of Manila behind on this day trip to Mt Pinatubo for a combo 4x4 and trekking adventure to Pinatubo Crater with an expert guide. Drive an off-road vehicle along a river valley made of lahar — the mudflow from the volcano’s 1991 eruption. 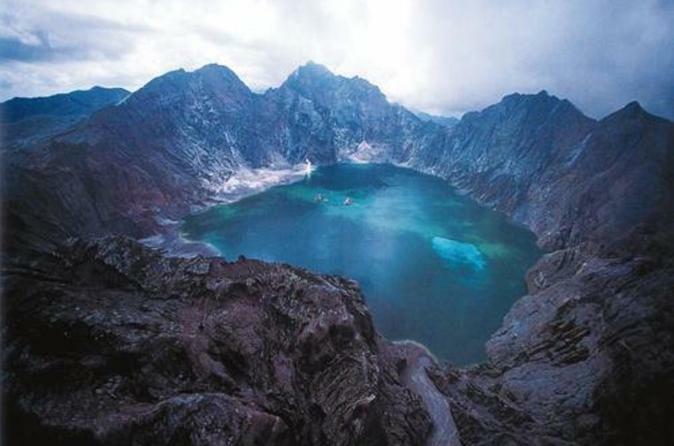 Then hike another 1.5 hours to the crater with free time to enjoy views of the emerald-colored lake. After following the same routes back to base camp, you’re rewarded with a Filipino-style lunch (and shower) before your return drive to the capital. 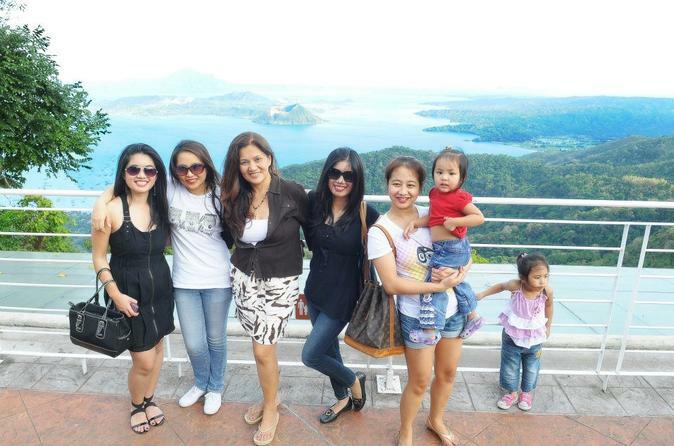 Join this shared day trip from Manila and explore Taal Volcano together with other travelers around the world. The tour lead by the professional English speaking guide. 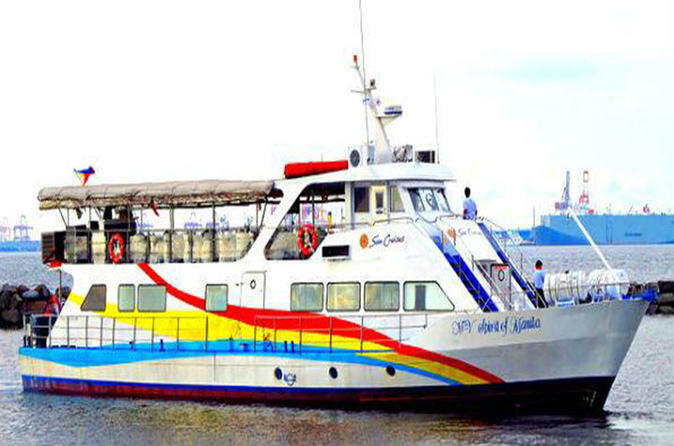 The tour starts at 8:30am and you will be picked up for the hotel’s lobby located within Manila Bay or Makati area. An extra charge maybe applied for hotel pick-up in other locations, subject to confirmation. 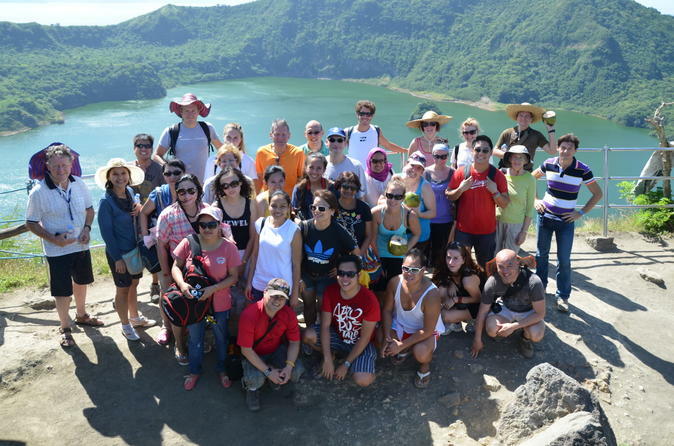 Join travelers from around the world in exploring Manila with an English-speaking tour guide. Visit the city's most popular attractions and experience a bit of local culture. Before heading off to the numerous island paradises of the Philippines, make sure to spend a day learning about the rich history and culture as well as have an introductory taste of the local cuisine in the capital of this nation formed from over 7,000 islands. Metro Manila is the center of Philippine Art, Culture and Business. It is made up of 16 cities and 1 municipality. Manila city is the original city and offers a wide array of historical and cultural destinations. 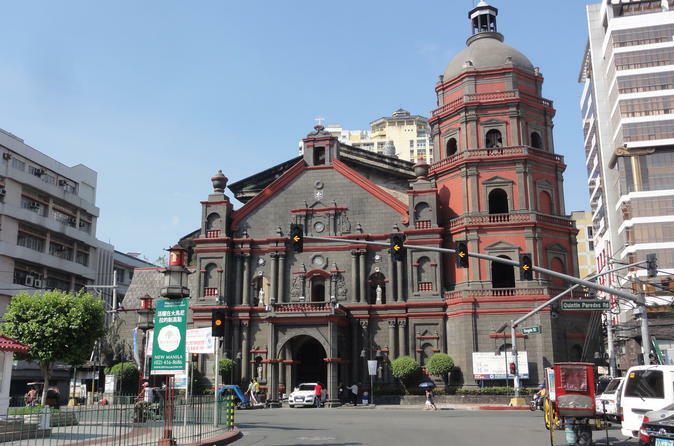 This day tour includes visits to the Old Spanish City of Manila, Churches, Museums and other quintessential Manila attractions with a local English speaking guide to accompany you. Guide, lunch, entrance fees and hotel pickup (if option selected) is included. Join this private tour and make your way around the historic Binondo area in Manila known as the world's oldest Chinatown. Enjoy a day of eating a wide array of Chinese and Filipino inspired delicacies from no less than 7 local restaurants and food outlets. The tour will be led by an English speaking local guide who will regale the brief histories of the area as you visit a variety of local stores, a Church and a Chinese Temple. 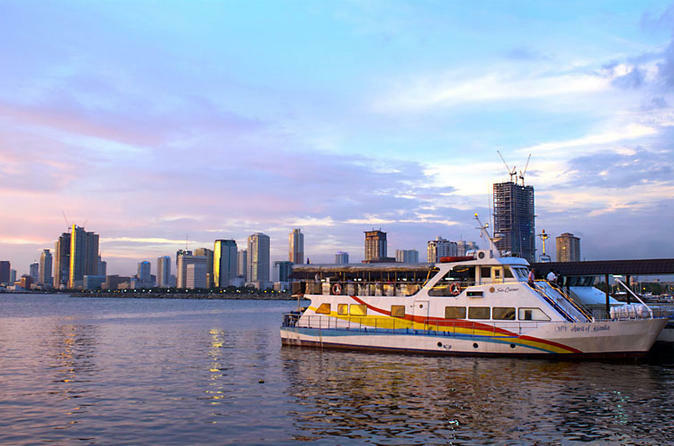 Learn about Manila’s historic past and vibrant present with a tour of the city and ending the day with a relaxing dinner cruise along Manila Bay. 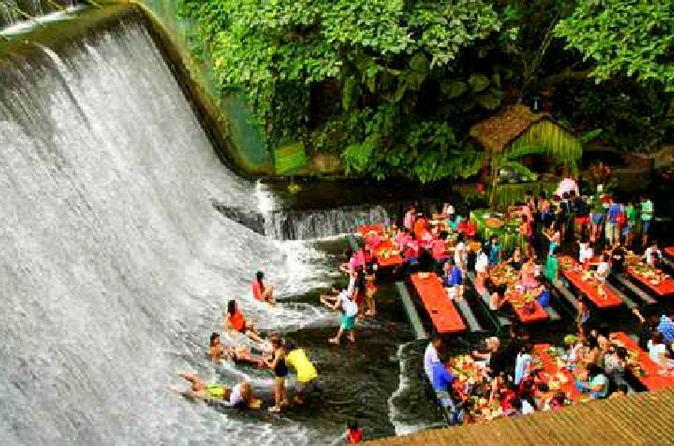 The Villa Escudero Resort of San Pablo City in the Philippines offers a one of a kind experience for guests to get up close and personal with a roaring waterfall while enjoying lunch. 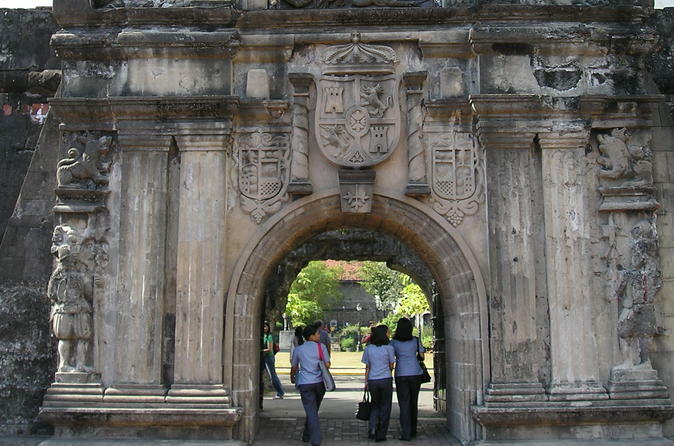 Tour also includes entrance fees and pickup service from Manila and Makati hotels. 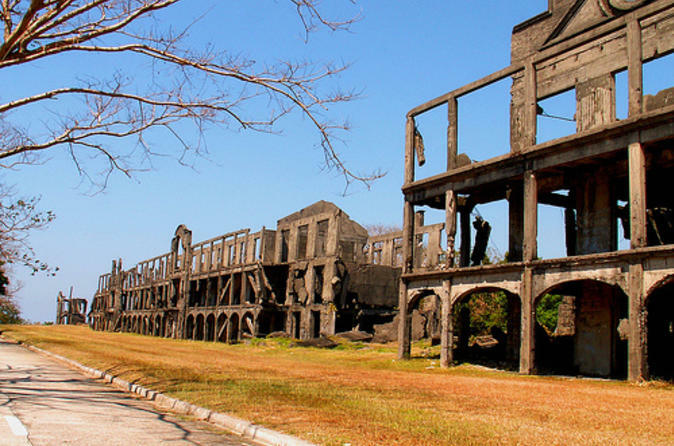 A nostalgic tour of the historical island Corregidor, about 30miles (48km) west of Manila. Also known as "The Rock" and considered as "one of the country's last military bastions", Corregidor island served as one of the harbor defenses of Manila Bay during the Second World War II and the last stronghold of the Philippines and American Military forces. 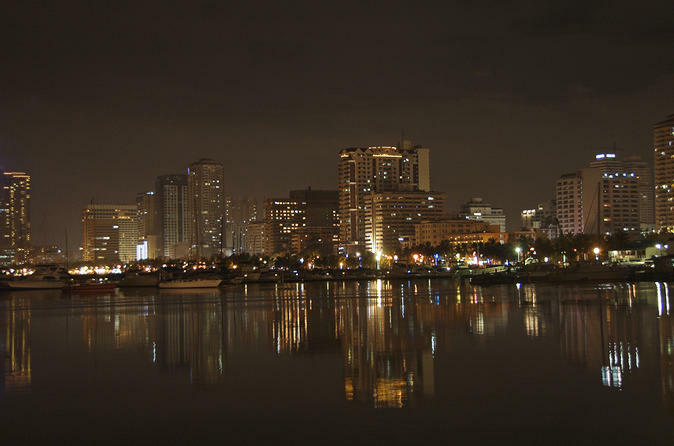 See the main highlights of Manila on this half-day private city tour. Hotel pickup and guide services are included as you venture out and see the famous American Cemetery, St Agustin Church and other famous city landmarks. Spending a pleasant tropical evening becomes more special with a buffet or set dinner course. This 1.5-hour bay cruise offers a romantic serenade as the sun goes down. Indulge yourself in an enchanting experience, ideal for those who want a quick getaway from the hustle and bustle of Manila. 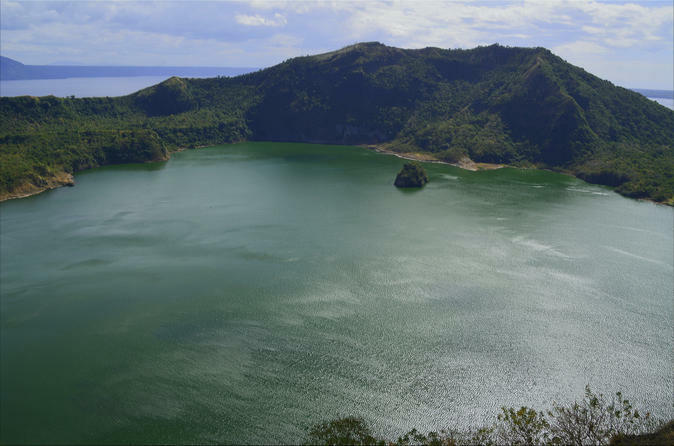 A soft adventure tour to Taal Volcano, the country’s smallest active volcano, has bewildered trek junkies and hiking enthusiasts with its astonishing beauty. 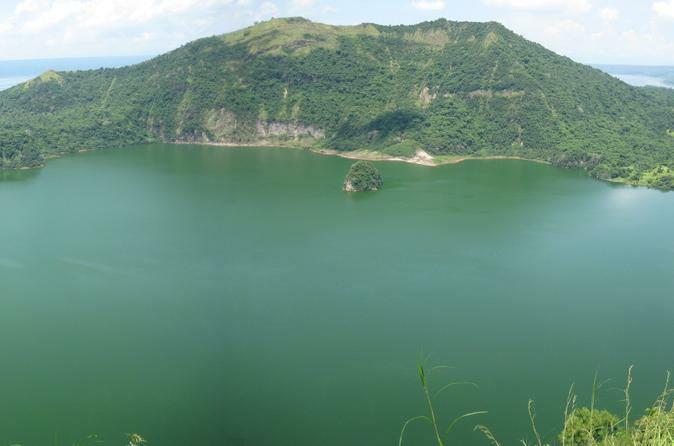 After a short boat ride from the other side of the lake, an average trek of not more than an hour awaits you. Along the way, steamy vents welcome trekkers, a constant reminder that the volcano is indeed active and breathing. 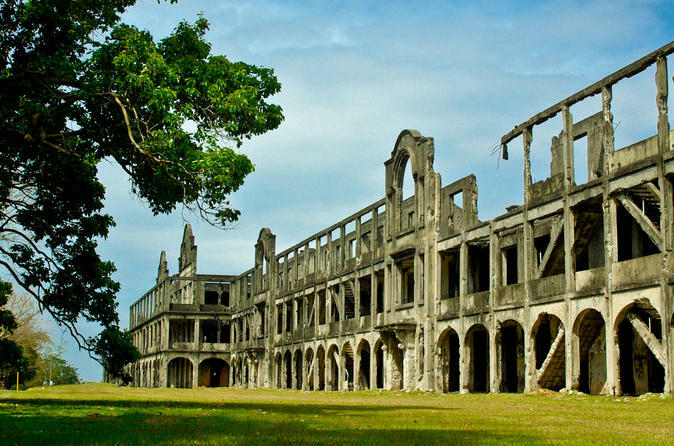 Enjoy a day away from the hustle and bustle of the city and explore the beautiful Corregidor Island known as the stage for World War II, American – Spanish War in 1902. 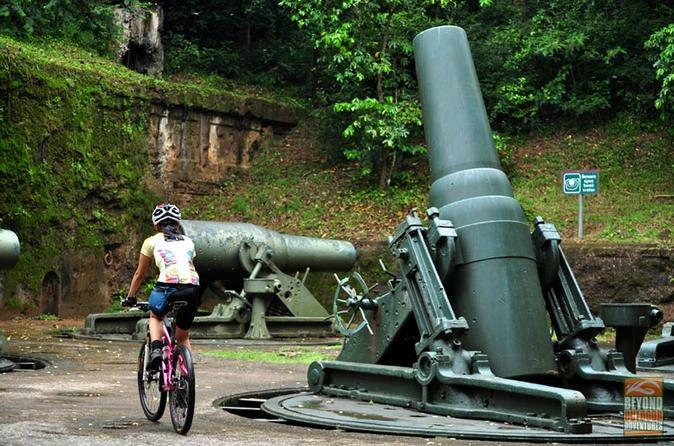 Experience military installations used during World War II and see the war-ravaged buildings are a few items to check your bucket list on your full day cycling tour. Lunch, round-trip hotel transportation and ferry ride is included. Join this private tour and make your way to one of the largest wet markets in the whole of Metro Manila, located in Quezon City. 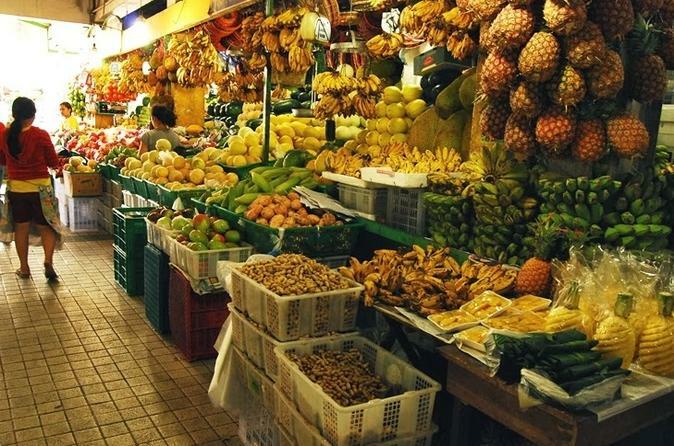 The Farmer's Market in Cubao will bring you up close to some of the freshest produce, seafood and meats in the city. Wander the halls of this market while snapping photos of colorful fruits, weird and wonderful seafood as well as local delicacies. Your professional English-speaking local guide will share some histories of the area. Bring a big appetite to sample some of the most iconic Philippine food from unique snacks, savory meals and sweet desserts. 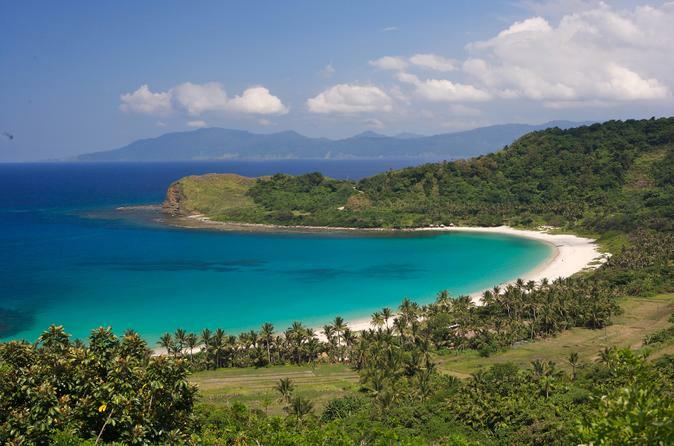 Visit the one of the best diving and snorkeling spot in the Philippines, Anilao, Batangas. Witness this underwater paradise with your own eyes. 2 dives and a sumptuous lunch is included. 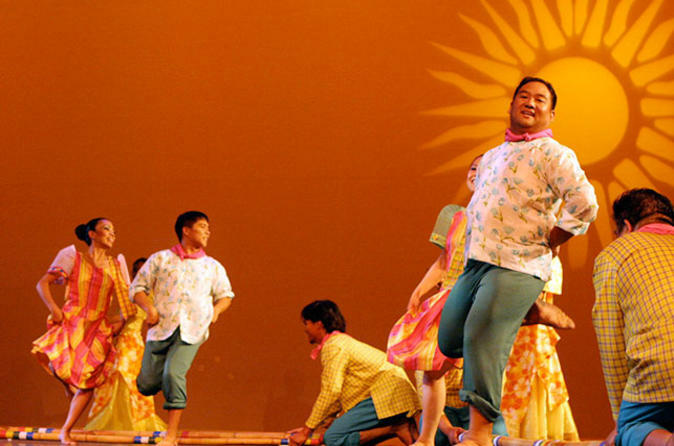 Catch a glimpse of the colorful Filipino culture with this awesome tour featuring the highlights of Manila. 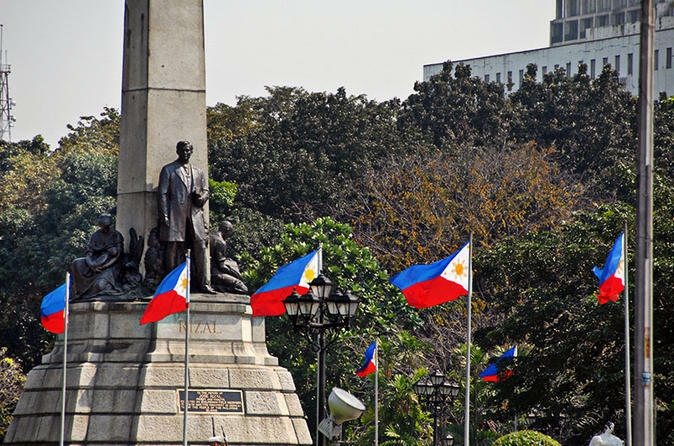 Your professional guide will bring you to notable landmarks such as Rizal Park, walled city of Intramuros, Manila American Cemetery and Memorial. Lunch, dinner and hotel transfer from metro area is included. 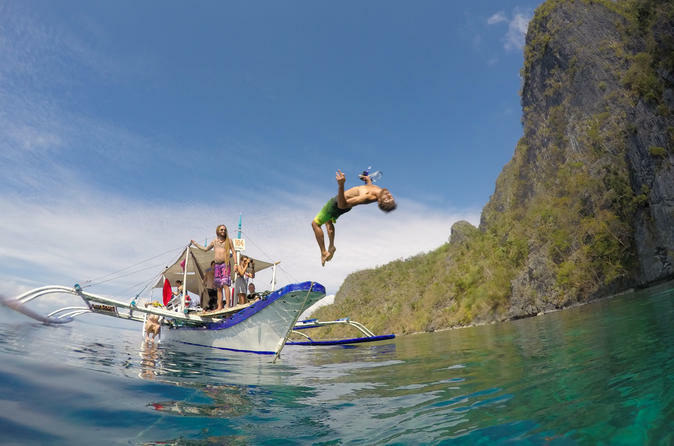 We offer the best small-group guided tour of the Philippines, it is for adventure seekers looking to experience one of the most beautiful and culturally rich travel destinations in the world. Giving the best and most unique experiences to the budget-conscious adventure traveller, while keeping costs down. We are proud to be lower in cost than any other comparable tour in the Philippines and we are committed to bring our groups to places that no other tour company has been, and to try things they never thought they would. We want our guests to finish a trip with the knowledge they have experienced something truly unique which they will remember for the rest of their lives. Commonly referred to as the “Eighth Wonder of the World”, the Banaue Rice Terraces will take your breath away. 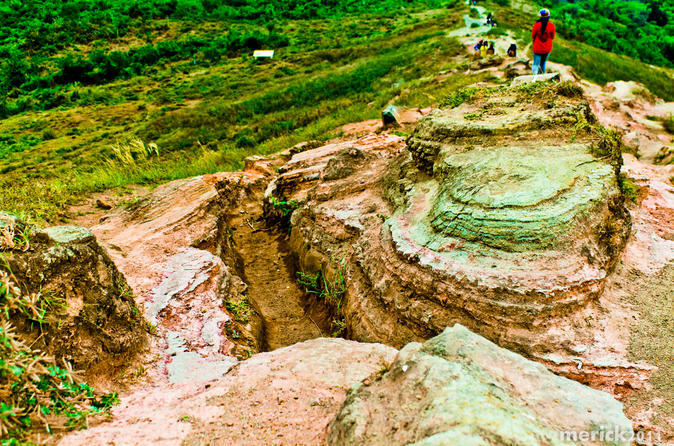 These 2000 year old terraces were hand-carved into the mountains of the Cordilleras by the Ifugaos. 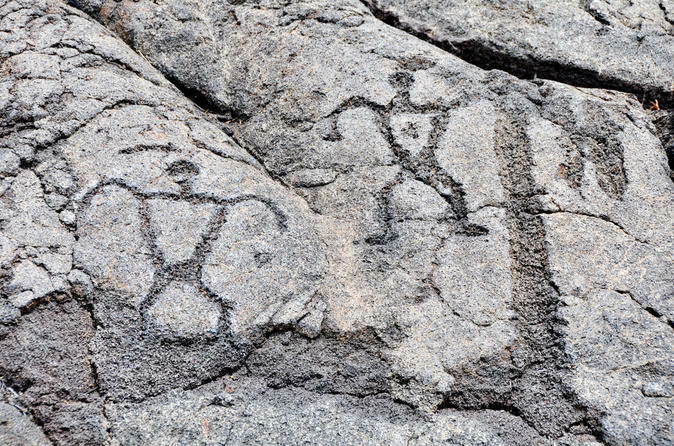 This UNESCO World Heritage Site is located approximately 1500m (5000 feet) above sea level and cover 10,360km2 (4000 square miles) of mountainside. 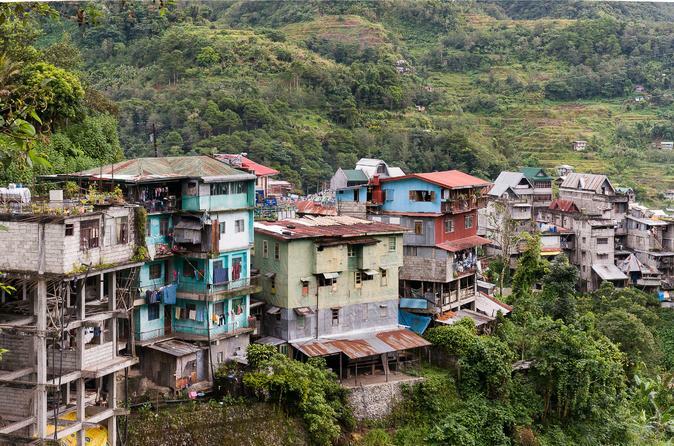 Enjoy the opportunity to meet with village folks in Banaue, and a glimpse of their way of life. Experience the historic Mt. Pinatubo via jeepney and trekking in Pampanga, Philippines. 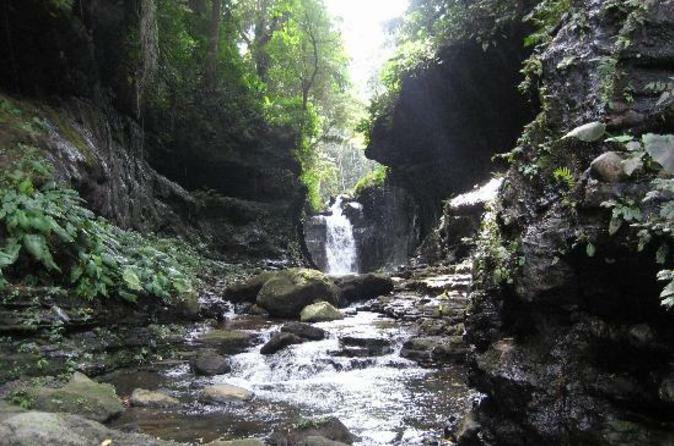 Metro Manila/Makati hotel pickup is included on this full-day excursion. 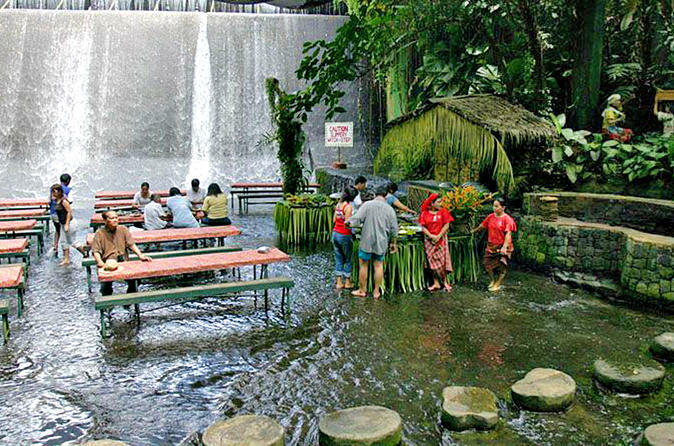 Experience true Filipinos native life on this private day tour to Villa Escudero Plantations. The tour will be led by a professional English speaking guide, lunch and round-trip hotel transfers are included. 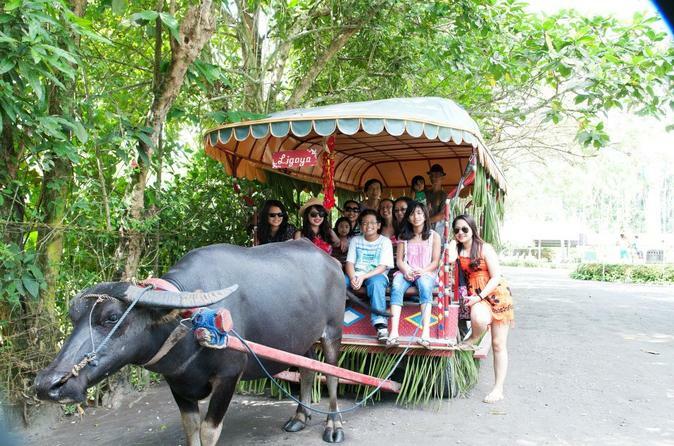 You will visit the private museum, explore the village and enjoy fun activities like water buffalo-powered cart rides. 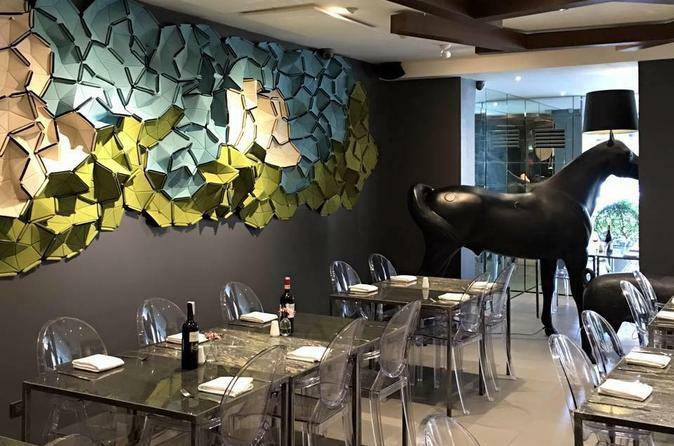 Enjoy an authentic Italian handmade pasta and pizza dough, combined with the authentic Italian recipes, makes our restaurant experience unique. For minimum of 4 people, you can enjoy this great value discount while booking exclusively through Viator. 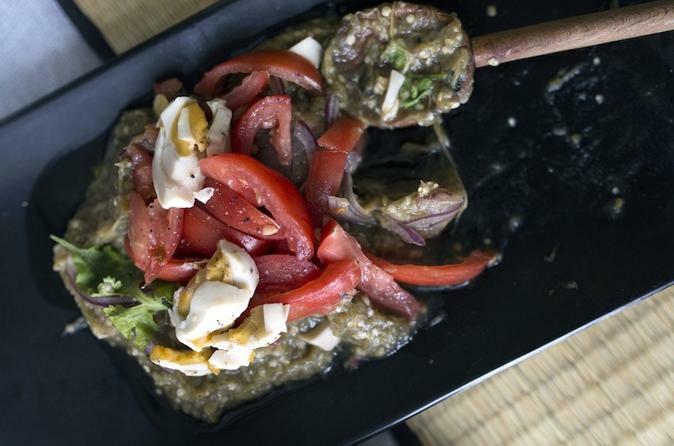 Learn to cook some delicious authentic Filipino foods alongside a local in their home! Cook authentic Filipino dishes from scratch - everything is homemade, down to the condiments and relishes that you will be tasting. As you cook together your host will tell you about her culinary heritage and how her travels have influenced her cooking techniques. Once the meal is complete you'll share it together at the dining table over drinks and great conversation. Colorful jeepneys snake through Metro Manila's major roads and by-ways, making them an essential part of contemporary Philippine culture. These flamboyantly painted public transportation vehicles are descendants of US Army-issued surplus jeeps from World War II which were reconstructed by ingenious Filipinos into passenger vehicles. Enjoy an extraordinary experience that is uniquely Filipino by riding in an air-conditioned jeepney whilst taking in the sights of Manila. 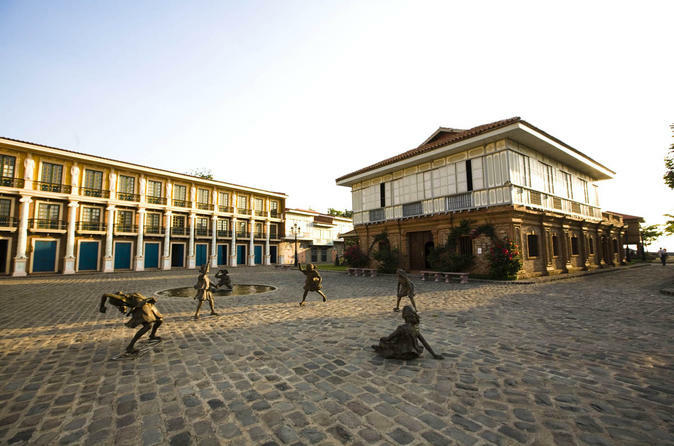 Enjoy this day trip to the Philippines heritage site – Las Casas Filipinas situated in Bagac, Bataan with our English speaking tour guide. 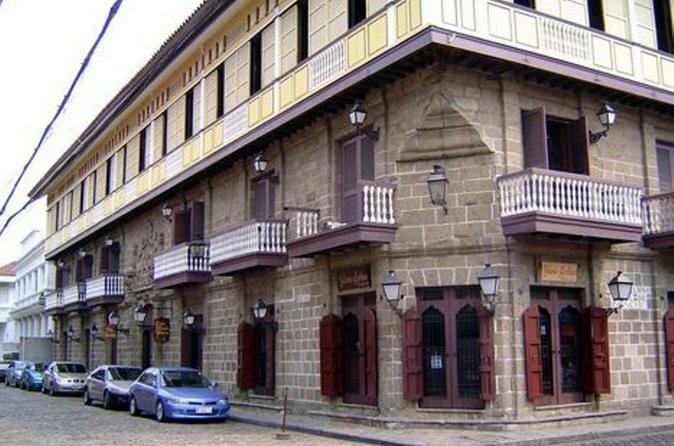 Experience and appreciate the heritage given by time, effort and resources in restoring the houses that became a symbol of a once significant and romantic period in Filipino history. Lunch and hotel transportation is included.